"The Code Brew Labs team is very proactive in working on a project and are always aware and knowledgeable of the new tech tools. Great team effort and very ambitious when given a task at a pr..."
"Once the app was delivered and released, I needed a few more changes in the app. I hadn’t foreseen these changes so it was sudden but BrainMobi worked on those changes without complaining...."
"They are the best vendor we have ever worked with. Their response time at every step along the way of our month-long project was incredibly impressive, almost always within an hour. They hav..."
We turn app ideas into world changing realities that are used and appreciated by people. "Am cherished to have an assistance on my dream-project of “Master-Recipe”. The AppSquadz have drafted the application beyond my imagination. The team was wholly-dedicated and delve into ..."
"The cooperation with "Advocosoft" was very intensive. It is an extremely competent team dedicated to the job. Due to the good cooperation, a long-term partnership has been established!" "For a very long time i was dreaming about a project to control things over the internet like doors, lights, lockers and much more. I found a company who created hardware but we had to build..."
iOS is our favorite. For now. We can just do magics with iOS. Unlike Google Android and Microsoft's Windows Phone it has multi-tasking limited only to a selection of the applications Apple included on the devices. "We are very happy that we had the chance to work once again with Digimark. The team has proved themselves to be a reliable partner and the app they created (for free!) is easy to be used and..."
"It was excellent experience working with Seasia team. Very prompt on communication and detail oriented technocrats. .."
We have expertise with iOS development. "Their technical lead Prankur, I must say he is very good in his job, even in most crucial stages I have found him very calm and consistent. In a way he treats my project as his own, it is no..."
"Best tech infrastructure provider. Great work, great team." "We had a mobile application version of our Document Management System that was developed a year ago. We wanted to update that version with some of our DMS latest features and solve some bugs..."
"What a fantastic bunch. Dedicated project manager, top class developers and always contactable. Couldn't recommend these guys enough. For a budget of $5,000, I got an end to end app builds. ..."
"Once Magora gets involved, your project becomes theirs. This is one of my favorite things about Magora." "Chromeinfo technologies are very helpful with my needs throughout the project. It can be difficult communicating in different times zones, but they made it work. The end product is great, ju..."
"I share a wonderful relationship with GirnarSoft. As of now, we are not actively managing Droozo but would definitely consider them for any other tech-need." "Very professional, efficient and honest team of developers/programmers. It was easy to build trust and a loyal relationship with TapFreaks." We make high-quality apps for Apple’s mobile operating system, available on iPhones and iPads. With our specialization in Objective-C and Swift, you will be able to find your app within a few weeks in the App Store. "I was very impressed with their depth of knowledge about app programming and production. They did not require any additional training from me." "I’m very happy about the overall services I received from Key Software Services, which were more than the website development. They helped me to get my business kick-started and to reach o..."
iOS is a mobile operating system by Apple and it is an exclusive OS for Apple’s hardware like the iPhone, iPad or iPod Touch. iOS is the second OS after Android. Steve Jobs founded the OS in 2007. 1 million of the apps found on the App Store are native for iPads and all the iOS apps available have been downloaded 130 billion times. There are a total of 2,200,000 apps available. You can find all the latest news about iOS on the yearly event of Apple, the WWDC. Apple released the new 11.0 beta 4 version of the OS for iOS app developers to test before they launch it to all mobile users around the world on July 2017.
iOS was born within the Apple space, the most known tech company worldwide. With the iOS you can develop an app for iPads, iPhones, Apple Car, HomeKit or iWatch. With an iOS app you can be sure that the most famous mobile devices will have access to it. iOS users spend more money on apps, either buying them or with in-app purchases. iOS users are a very interesting target to always keep in mind. Having an iOS app means that you can reach all the Apple products and their users. 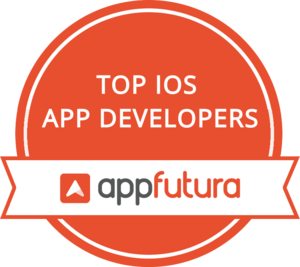 In the iOS app development companies directory you can browse through the best iOS app developers in the world, supported with real reviews validated by the AppFutura team. With the AppFutura escrow payment system you can also work with them in a safe environment.